' Sunshine Sunday: Find Joy - Sisters, What! I know this is a late post but it is something I really have been working on lately and felt to share. This quote is pretty self explanatory, but it is so hard to do. But I just have really found recently as I've been working on it my days have been so much better. I haven't felt as inadequate, I felt happier, my confidence has been better. I've seen so many more small miracles that I normally wouldn't have seen. I think we go through life expecting big great things all the time, and if we don't we think something is wrong with us, and it affects our whole mood! So I thought I'd share this little thought with you. 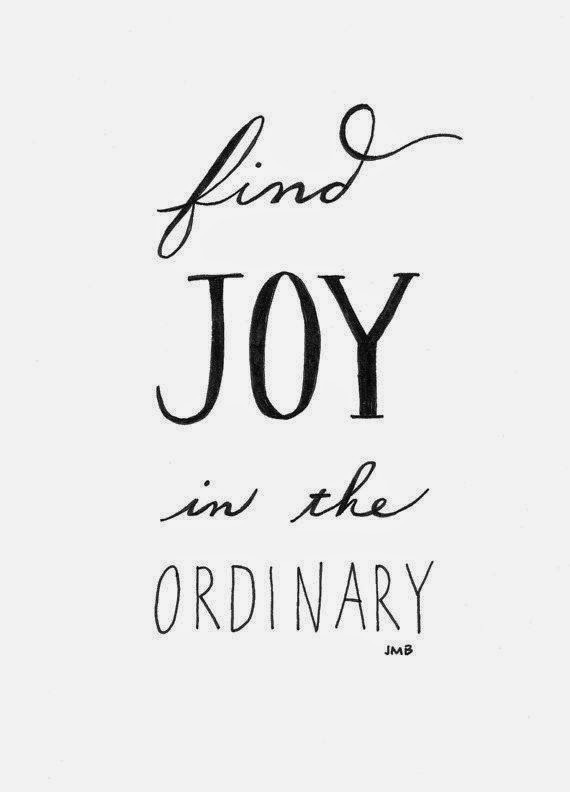 I'd love to hear about how finding joy in the ordinary has made a difference in your life!